Former president Barack Obama said that the issue of Syria greyed his hair and left the task under these circumstances. In the post-Obama period of Trump, Syria continues to be at the forefront of the world agenda. Although there are some dimensions of interest regarding the issue of Syria from America, Russia, England, Iran and Saudi Arabia and even from the regional countries, the situation of Turkey is way different than the others. Unlike any other country, Turkey directly borders Syria. Even though Iraq, Lebanon and Jordan also have their borders with Syria, the condition of Turkey is distinctive. There are few points to mention about the importance of Syria for Turkey. 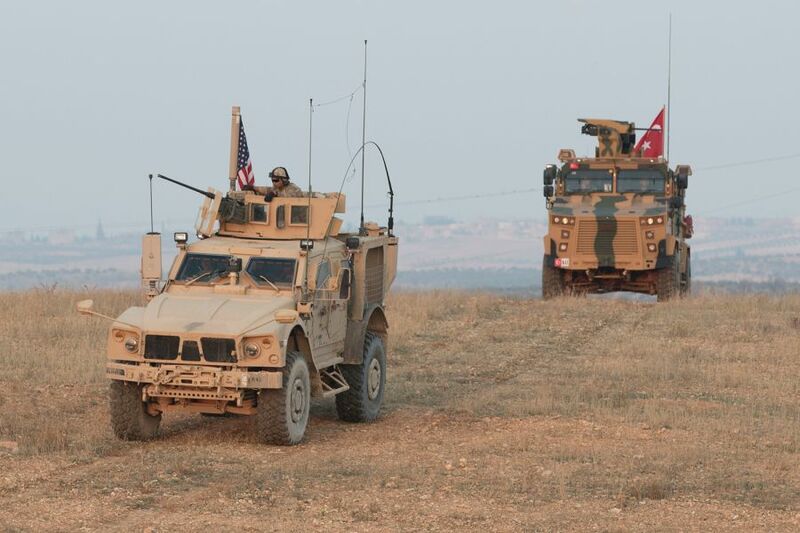 Of these, perhaps the most important is the zone called North Syria that starts from the east of Euphrates to the borders of Iraq, supported by America, the “friend” of Turkey with more than twenty thousand airplanes and trucks which is dominated by YPG, which is also a friend of America. Although all the administrators of Turkey, and especially Erdogan, criticized the support of YPG by America, it was in vain. America just went on its way without a doubt and so to say, it played cat and mouse with the administrators of Turkey. It just inspected whether they have fulfilled the given duties or not and warned or threatened them related to the cases. During the last two months, five meetings were held between Erdoğan and Trump, which started with a bilateral meeting on the G20 on December 1, and then on 14-24 December and 15-20 January. The last of these meetings was held on 20 January and the above explanations were given by America. Although there are positive remarks made about the telephone call between Erdogan and Trump, America’s opposition remarks and acts towards Turkey have emerged on the agenda. Nowadays, America revealed that there is an establishment of a “Safe Zone” which is 20 mile wide along the border of Turkey and east of the Euphrates. Safe zone, no-fly zone and buffer zone each has their distinctive meanings in the intendment of law. If we pay attention to these terms especially, it can be said that the safety zone will make the administrators of Turkey more annoyed. Since the requests of the safety zone made by Turkey were disregarded during the bombardments in Syria, why especially now is it put into practice? What is America planning with the Safe Zone? The answer to this and all other questions is that America’s profits call for it, and this is the reason. There are Kurdish population densities, especially in the places indicated as safety zones. Accordingly, with the announcement of the Safe Zone, America actually declares that Turkey cannot resist against YPG or PKK. This is because it is up to America to decide whether it is a terrorist organisation or not. This situation makes the Turkish administrators concerned about the things that will happen in the next period. The initiative of Syria is totally in America’s hand and Turkey is just a subcontractor. Security authorities in the region will be in the hands of the United States and Turkey will have no effect. During the phone call between Erdogan and Trump, it is said that the following is mentioned: “President Trump emphasized the importance of the removal of all terrorist organizations.” Since PYD/YPG is not a terrorist organization to America, the only target is the Muslims. With the explanation made after the phone call, the following is mentioned: “The two leaders came to terms with the continuation of a negotiated solution and the elimination of the mutual security concerns in northeast Syria” and by this America didn’t promise anything about east of Euphrates, because it is explained that the solutions will be continued. Erdogan’s statements, which support the security zone, may have been meaningful for the past years, but it is certainly not meaningful at the moment, because these statements are entirely related to PYD / YPG and is in no way in the interest of Turkey. It is shocking that a country like Turkey with a powerful army announces war against ISIS or groups like that. Erdogan made an explanation on 24 December that he’ll end up YPG/PYD but we can see that he couldn’t proceed not even a little bit because America doesn’t want him to.